Good morning, dear readers! I had planned to get this post up for you last night, but the time ran away from me and I needed to get sleep. 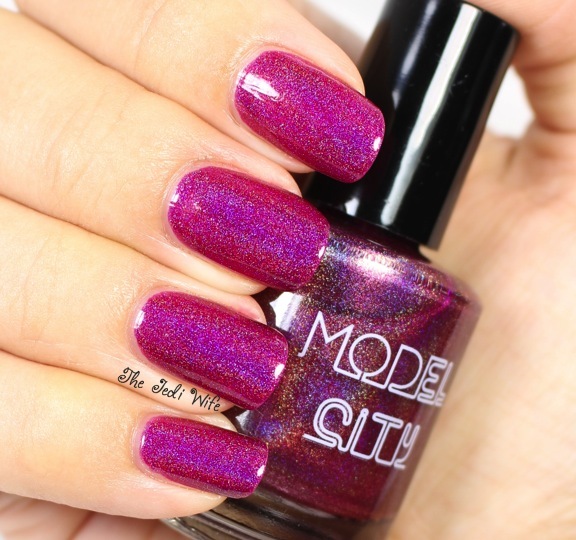 My apologies for the delay, but I think today's feature polish will help you forgive me. 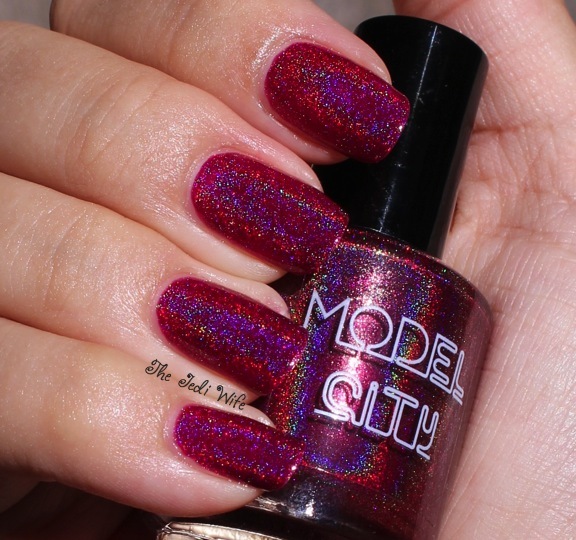 When I was in Las Vegas, the very first person I met was Nina from Model City Polish at the airport. We ended up cabbing it together to the hotel and excited chatted about the events to follow. 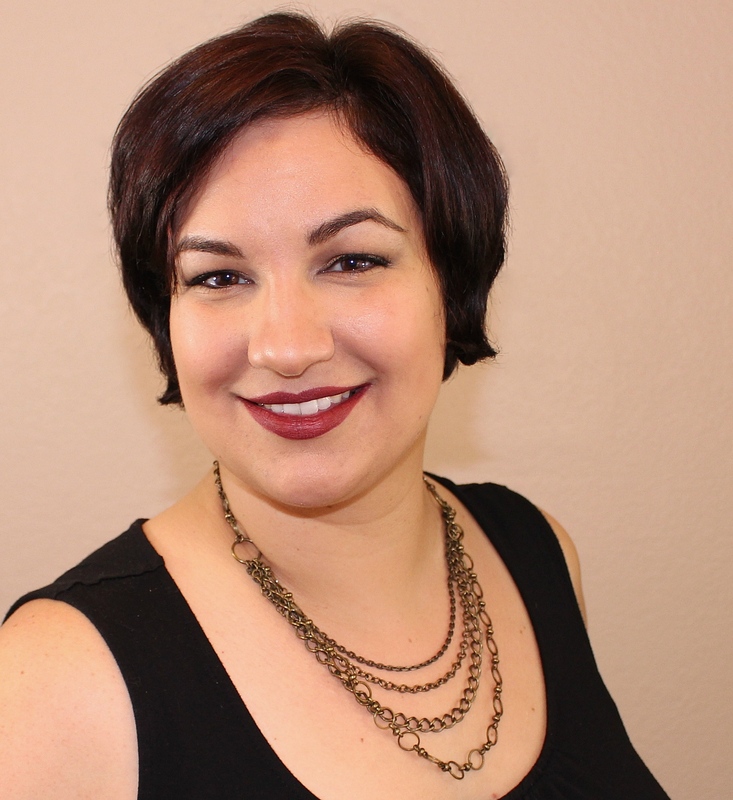 Nina is incredibly sweet, and if you don't follow her blog already, you definitely should! After meeting with her, I now read all her blog posts with her southern accent. 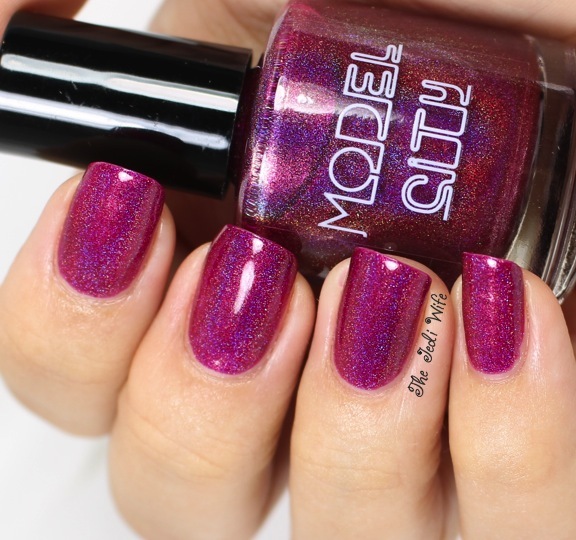 In addition to blogging, Nina has her own indie polish line. 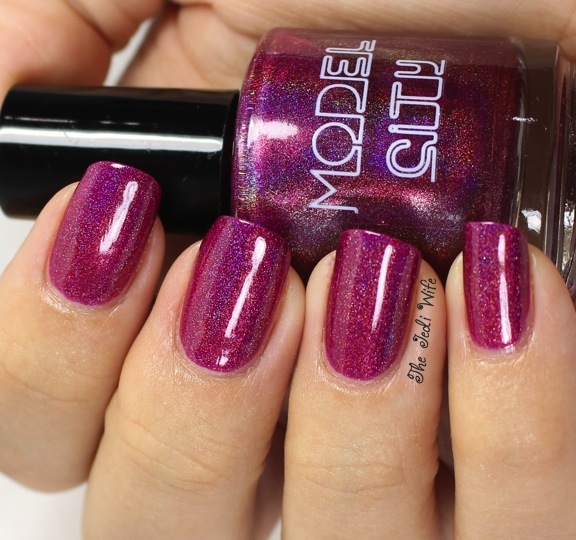 She gifted me a bottle of Pour Me Another, a beautiful magenta holographic polish made specifically for Cosmoprof. It is now available for purchase at her shop. 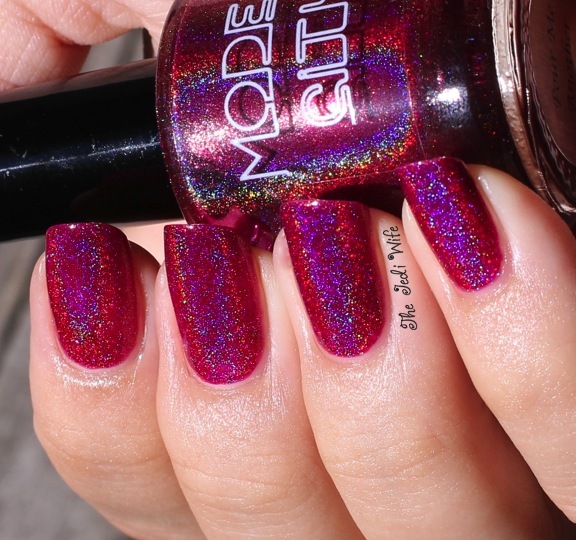 Look at how pretty this polish is! I was dazzled by Pour Me Another, and I hope you like it as well! I already know I'm going to have to get a second bottle of this baby! The formula of Pour Me Another was nice and it applied so easily for me. I used two coats for these swatch photos. 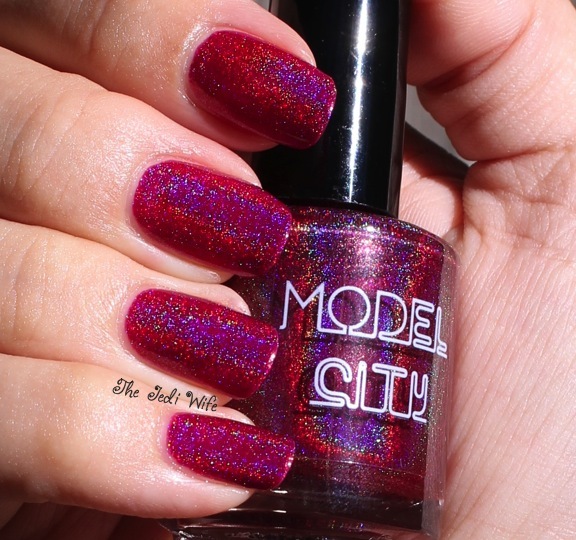 You can purchase this and other polishes directly from Model City Polish here. Alternately, you can buy them from Nina's etsy shop here. 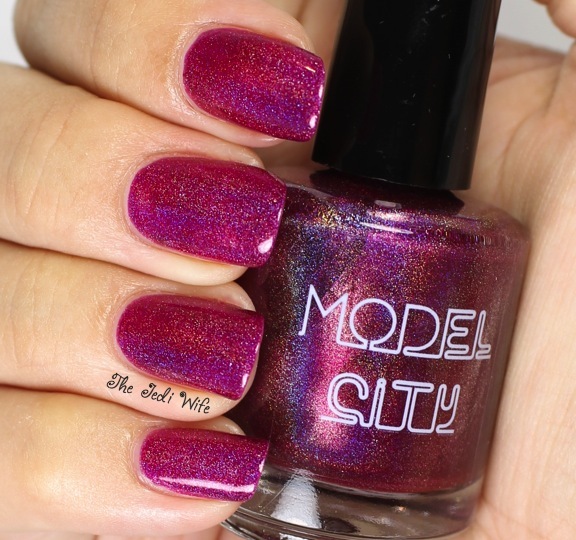 Be sure to follow Model City Polish on Facebook and Instagram as well! Enjoy the rest of the day! XO! 1st and foremost, this color is amazing! It looks stunning on you!. Nina from Model City surely hit this one out of the park. I enjoy all of her polishes and am so glad I have this one! Great post Jen! These swatches are amazing!